To have an access to the reports’ settings you need to be an admin. 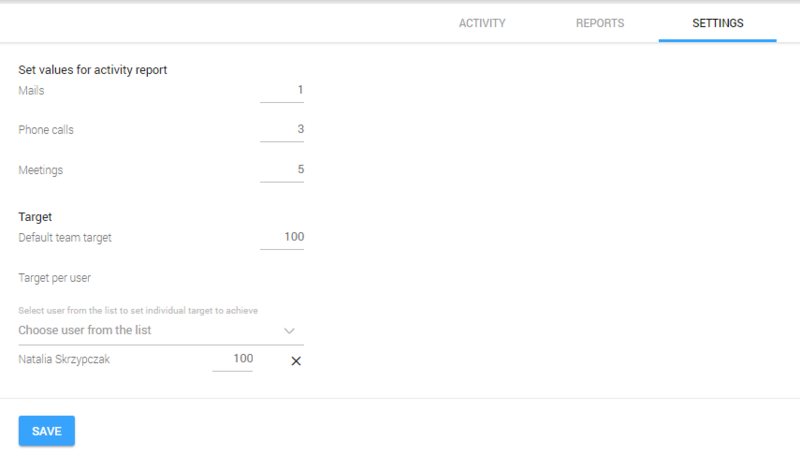 In the settings you can change the value of each taken action (of all people in your organization) and set up the target for your team and each user. 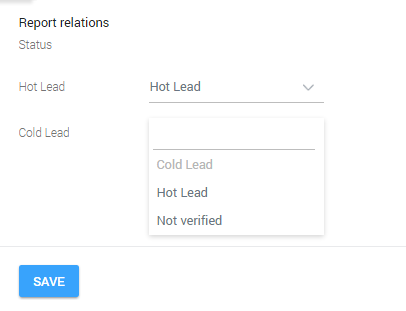 In this tab, you can also adjust the status of hot and cold leads.